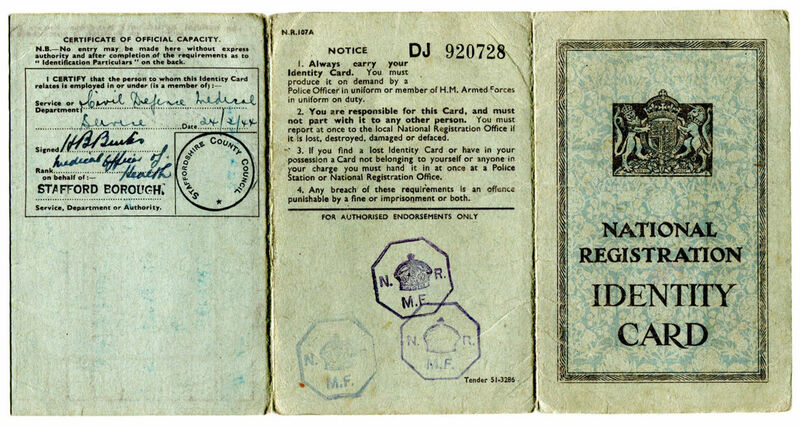 Like every other person in the UK during the second world war, Civil Defence personnel carried a National Registration Identity Card. The normal ID card was a four page folded card which detailed address of the recipient (no photo). 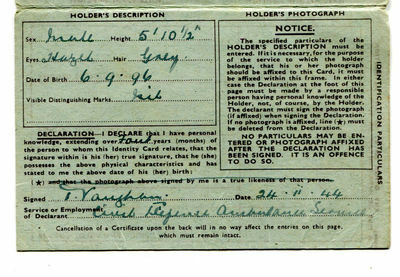 Civil Defence personnel were issued with an endorsed ID card - a pale blue NR107A (N.R.107A) - that had extra space to detail their civil defence role and could include a photograph (rarely used though). 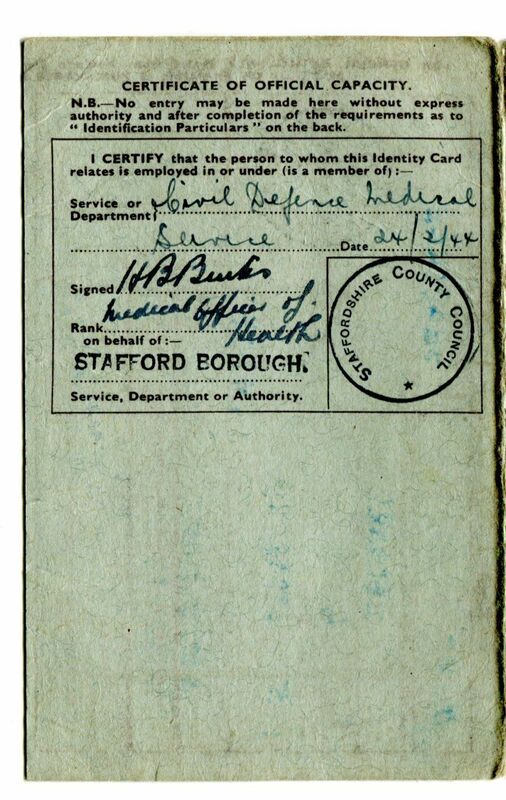 WW2 Endorsed Identity Card for Civil Defence worker. 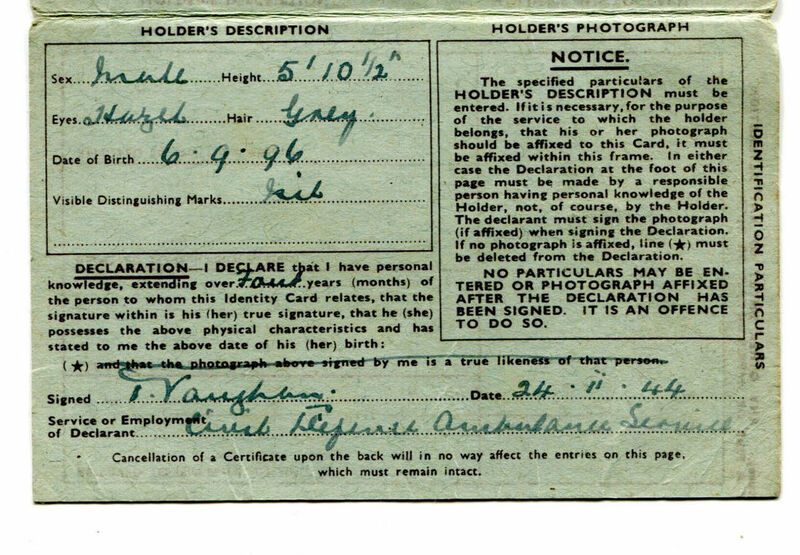 Details of card bearer's Civil Defence role on WW2 Endorsed Identity Card. Inside of Civil Defence worker's WW2 Endorsed Identity Card. Official stamps on a Civil Defence worker's WW2 Endorsed Identity Card. 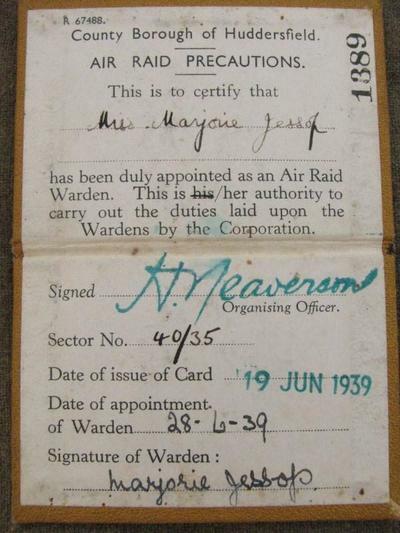 In addition to the identity card borough councils also issued civil defence prsonnel, especially air raid wardens, with appointment or warrant cards. 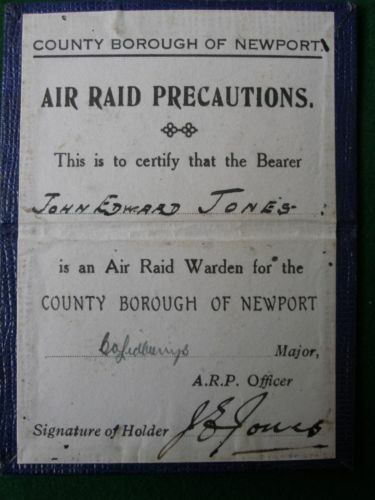 Air raid wardens were allowed to inspect each household's air raid precautions measures and as such needed authority to enter private premised. 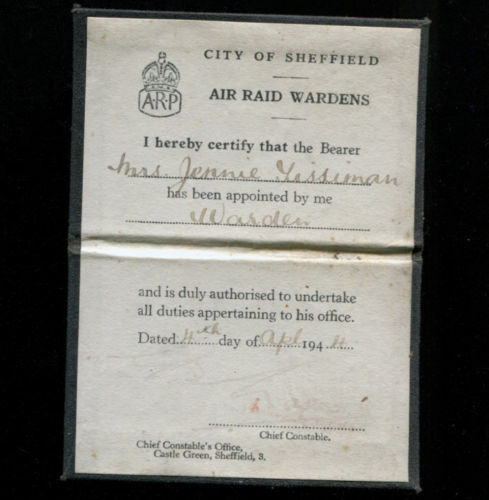 The warrant card provided this. 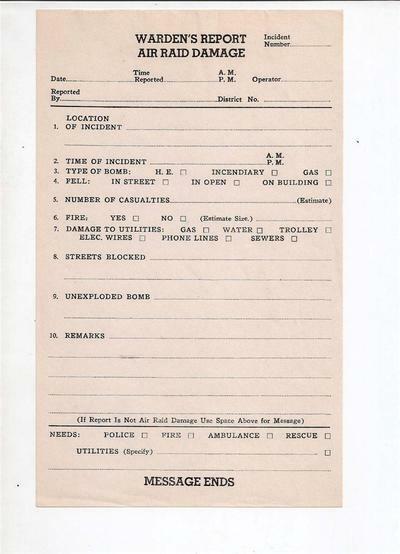 For excellent quality reproduction warrant cards, see this link. ARP Warden's Report Form - A.R.P./M.1. 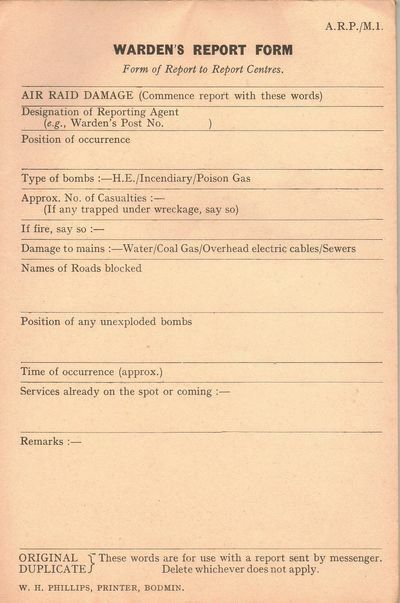 Following every air raid incident an ARP Warden would complete the report form and send it to the local control centre. 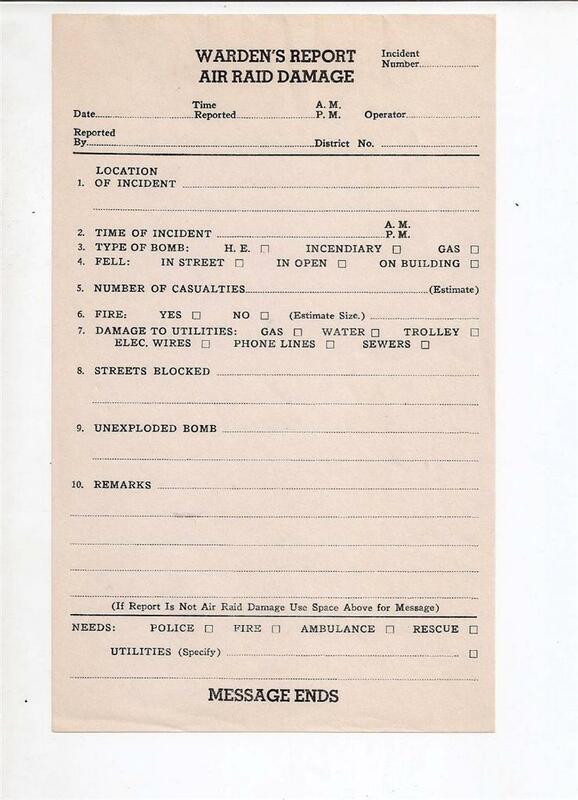 During the blackout, wardens were to patrol the area around their post and ensure that no light was showing. The term "Put that light out!" has an almost comical ring to it now. 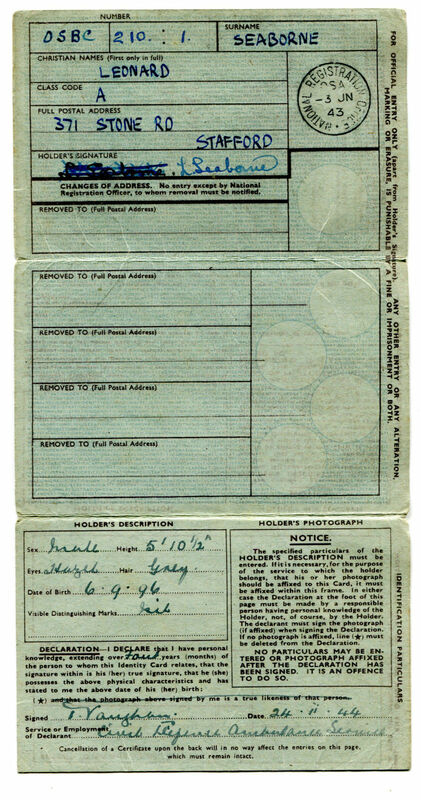 If a warden could not get an answer to a light being shown they would put a notice through the door to the householder or building/factory/shop owner. 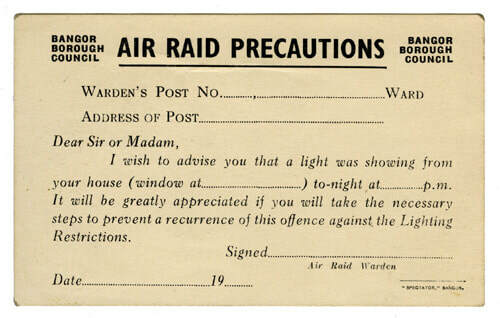 WW2 notice from an ARP warden.